BATH & BODY. SAY NO TO A QUICK SHOWER AND YES TO A BIT OF ME TIME. | Life Looks Perfect. BATH & BODY. SAY NO TO A QUICK SHOWER AND YES TO A BIT OF ME TIME. Bath Time in the Dunn's household! It is always an absolute treat to have a bath, with a busy schedule and my lack of sleep, I have become a shower lady. But on those rare occasions that I manage to have a few hours to myself I like to indulge in a bit of me time. 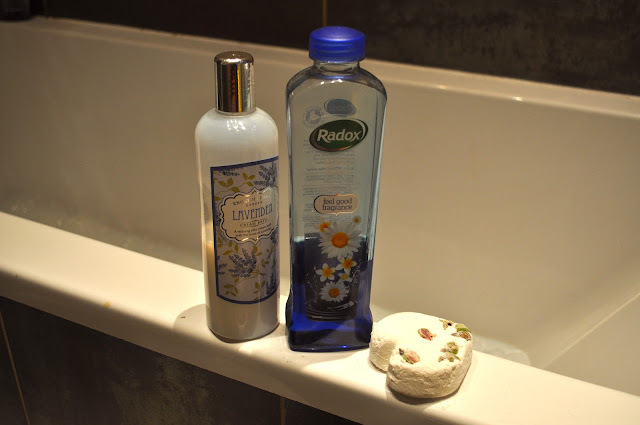 This always begins with my two favourite bath products, yes there are not the most glamorous, but they smell good and make my bath calming. I have almost finished my favourite Radox Bath Soak Sleep Easy, with a soothing scent of jasmine and chamomile, it completely relaxes me. 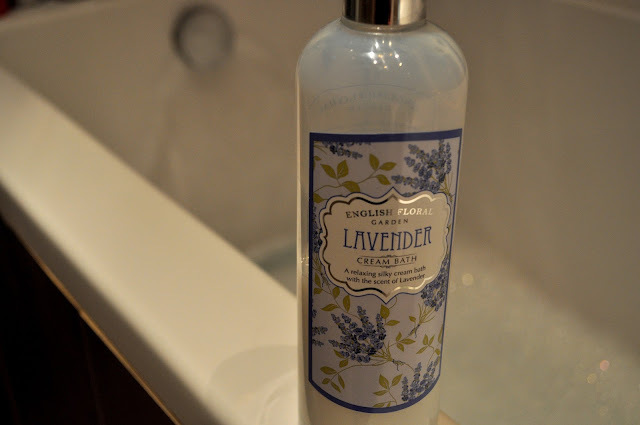 Along with this I like to add a touch of English Floral Garden Lavender bath cream, adding that extra calming aroma. I'm afraid I can't find a link for this product, which is a shame, I will have to see if Sainsbury's still stock it, as I did buy it a few months ago. 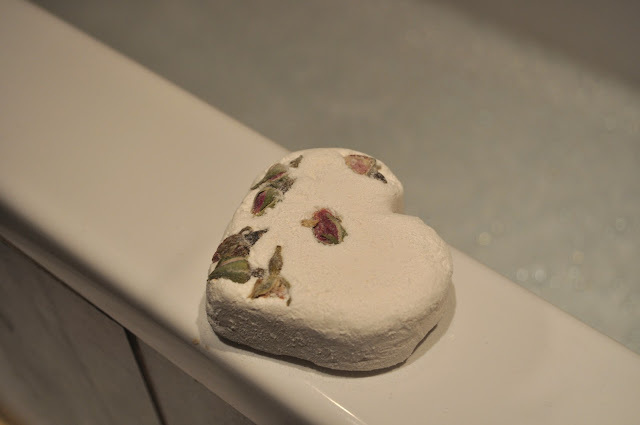 To create my ultimate bath I love adding in a Lush Bath Bomb. I have spoke about these before (Review HERE) and they always add a little bit of luxury to the bath water, or in some cases make the water quite a rainbow. This one I used above, is Tisty Tosty smelling literally of rose petals, it fizzes away softening the bath water and your skin. I usually soak with an iced water and a soothing face mask, whilst trying not to fall asleep! There it is, my bath is a floral masterpiece! As I am a florist, so what can I say I like to bring flowers into every part of my day! These are obviously very affordable which I think for an everyday product, that I know our household flies through week to week, is a must. What are your favourite bath time products? 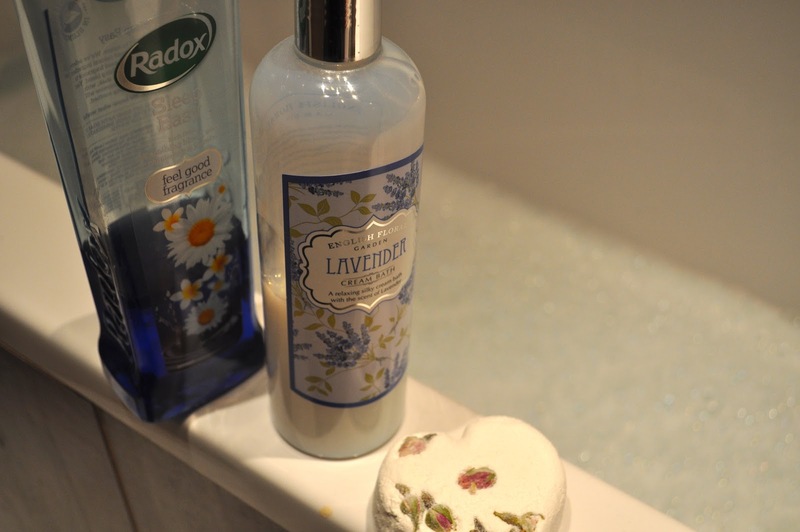 Radox Bath Soak Sleep Easy 500ml £1.00, English Floral Garden Lavender bath cream 400ml £3.99 & Lush Tisty Tosty Bath Bomb £3.20.